After an exciting first day at Hong Kong Disneyland, it was time for our second day in the park. 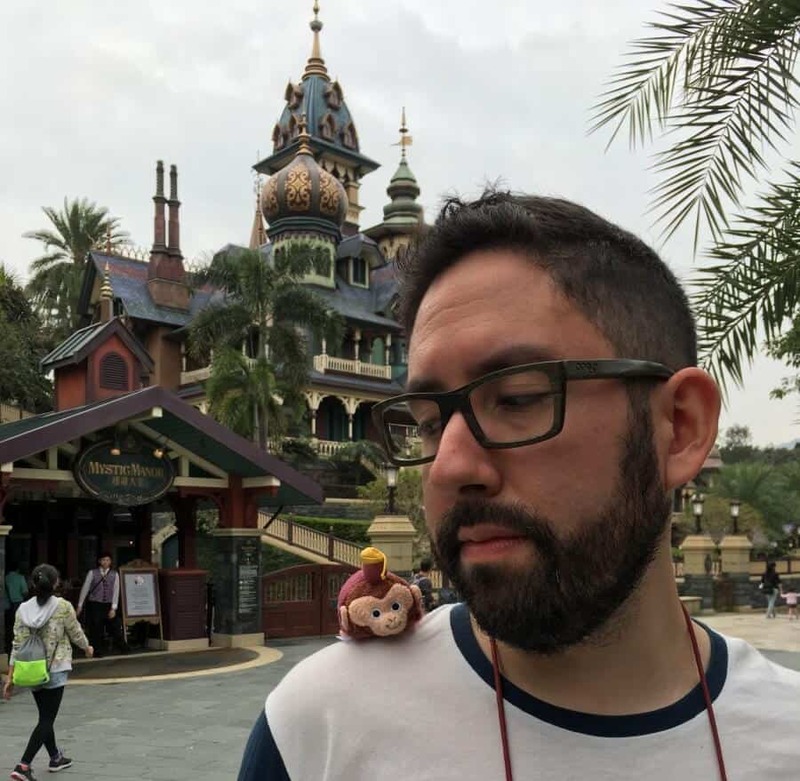 If you haven’t already, catch up on our Hong Kong Disneyland Trip Report by checking out part one. Or if you are into podcasts, we have it as a bonus episode of TDRNow! As part of our vacation package, breakfast at Chef Mickey was included in our stay at Disney’s Hollywood Hotel. They ask you to choose the time you wish to dine when you check-in. We made our reservation for 07:30 for both days. 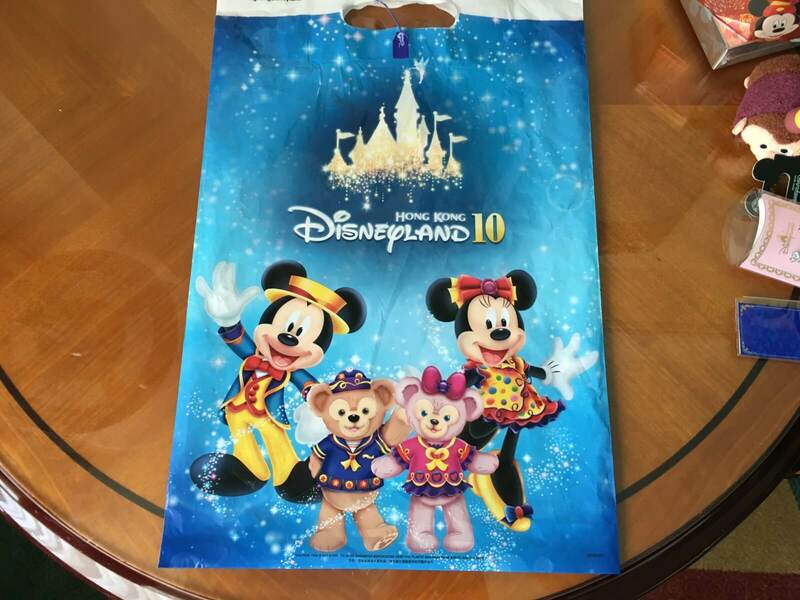 Once you get to the restaurant and are seated, you are given a card you present to a Cast Member to have your photo taken with Mickey before you leave. Unlike Chef Mickey’s at Disney’s Contemporary Hotel at Walt Disney World, there is no roaming around for Mickey here (except when he heads back into the kitchen to check up on things… and to take a break)! 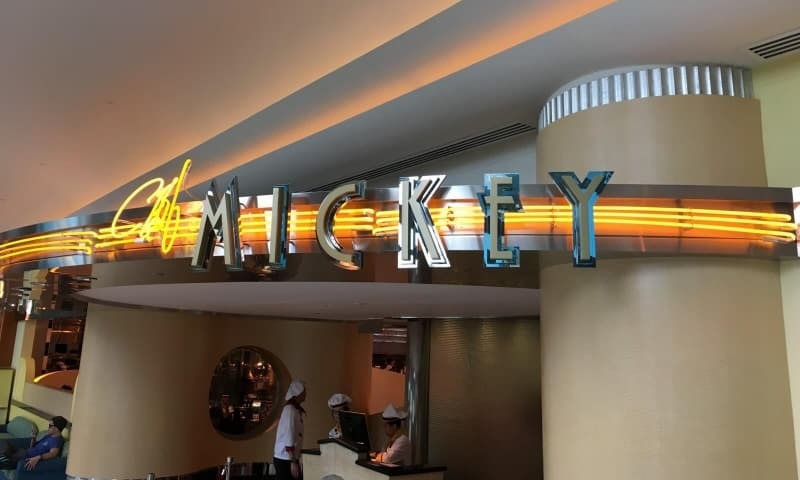 Now, what kind of food does Chef Mickey serve? I am glad you asked. 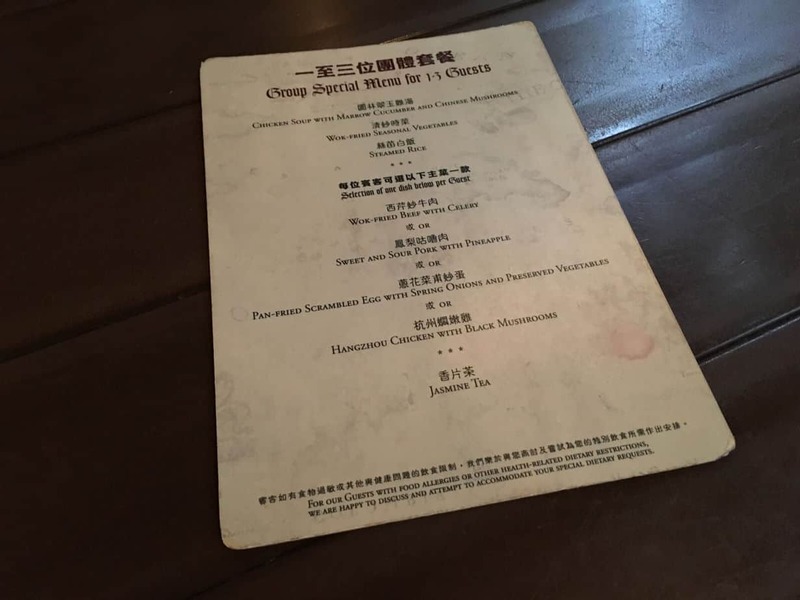 I have not been to a Chef Mickey’s in some time (admittedly I have not done the one at Tokyo Disney Resort and the one in Walt Disney World was back in 2011), so everything served was “new” to me. 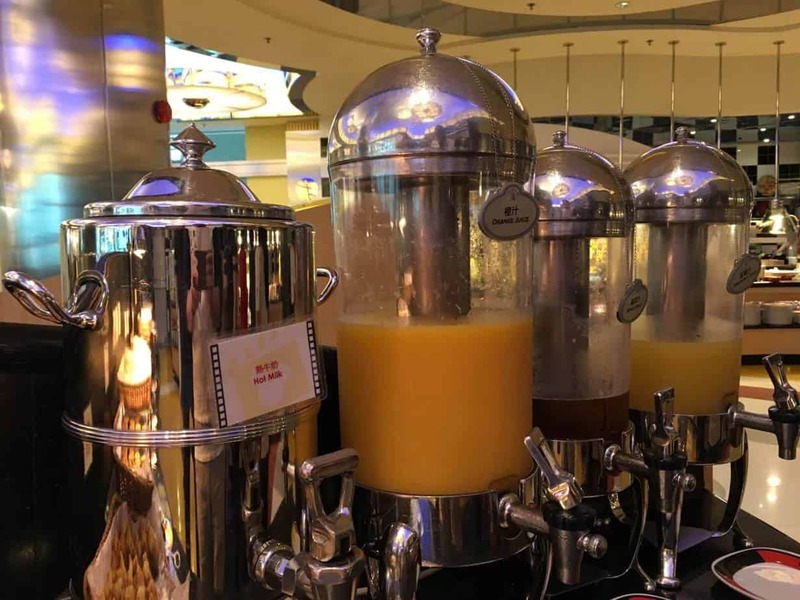 A large buffet awaits you with everything you could ever want for breakfast. Chinese breakfast foods (at least that is what I assumed it was), Japanese, Asian, North American, and European fare line the counters. In other words, there is something everyone will enjoy – even those who are less adventurous in their food endeavours. 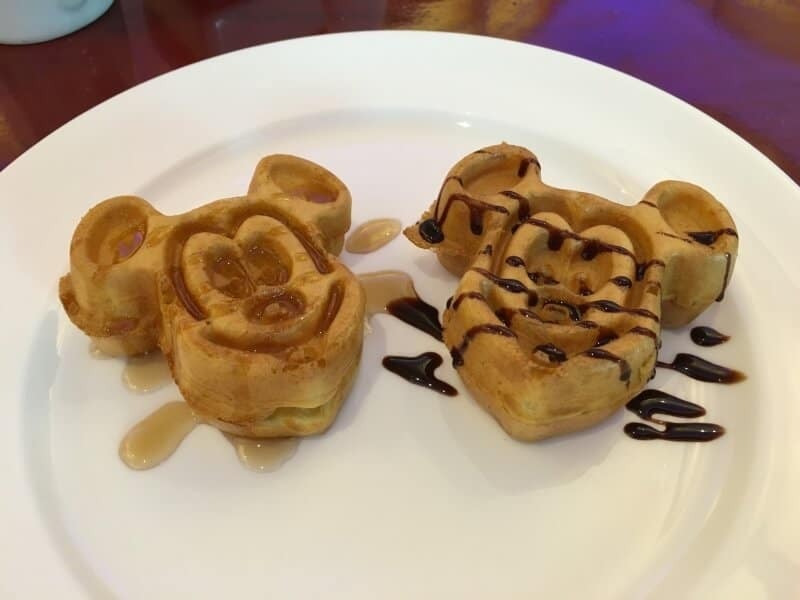 Breakfast is not complete without a Mickey Waffle! Bacon, scrambled eggs, waffles, fruit, and yogurt are some of the staples of a North American diet. 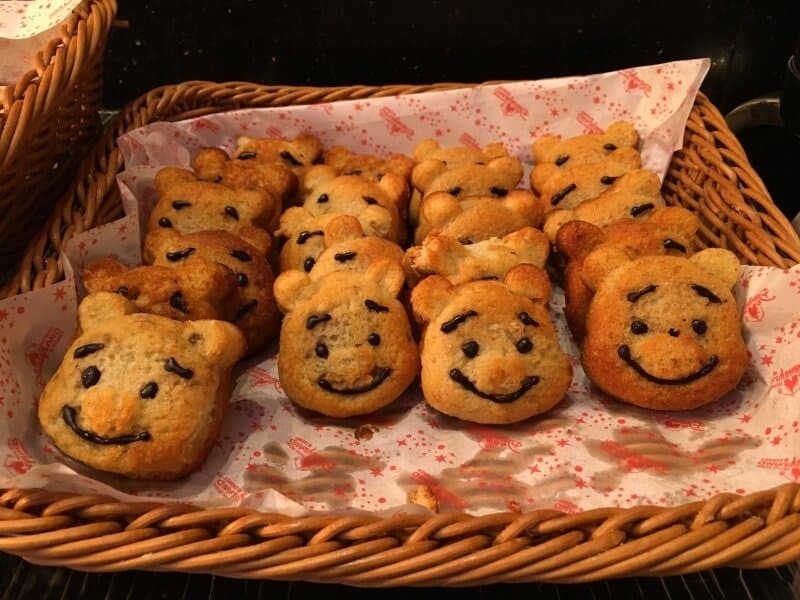 Besides those, I opted for items that I typically would not have for breakfast such as spring rolls, noodles, pork dumplings (seriously these are so cute and I felt guilty eating them), and Winnie the Pooh shaped bread (I am not a bread person, it makes me sick if I eat too much). As for beverage options there was apple juice, milk, tea, and coffee. I would recommend against the coffee, it was pretty terrible. I am a coffee person, so I may be a little biased in that sense. After stuffing our faces with adorable pig dumplings and Winnie the Pooh bread, it was time to haul ourselves to the parks. But, not without visiting our good friend Mickey first. Somehow in the midst of the excitement of the previous day, we both lost our first visit buttons. 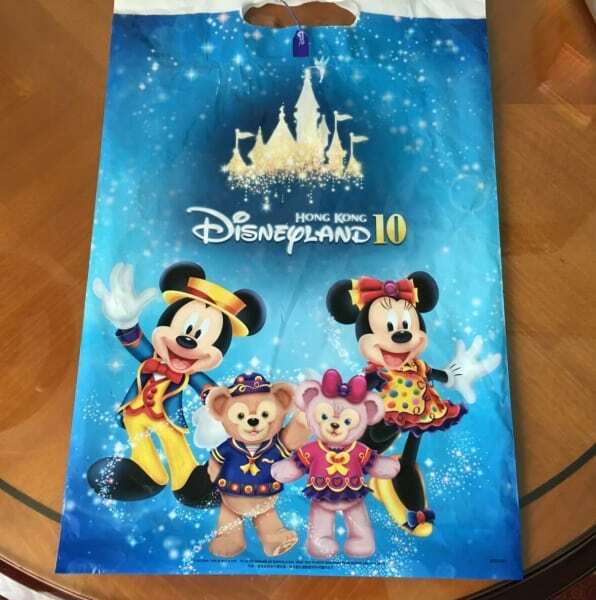 We needed to have them, otherwise how would people know we visited Hong Kong Disneyland? Before anything (even Mystic Manor) we went to City Hall and reunited ourselves with those coveted buttons. It is impossible to resist the cuteness that is Albert. Especially when he is in Tsum Tsum form. Once we had ourselves sorted we quickly made our way back over to Mystic Point to ride Mystic Manor, we needed to beat the crowds before it got up to a 10-minute wait. This was followed by Big Grizzly Mountain Runaway Mine Cars, which we beat the crowds and only had a 5-minute wait. Over in Grizzly Gulch, my favourite characters made an meet and greet appearance just steps away from the gateway to Mystic Point. Notable was the number of Japanese guests in line along with us. It’s good to know that there are plenty of fans out there who love them just as much as I do! 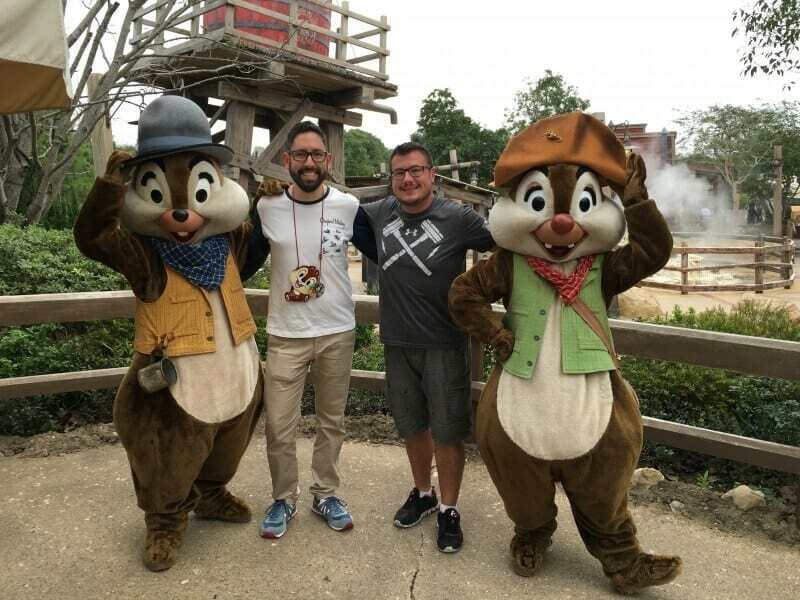 I was wearing my Chip lanyard, which inevitably get me attention in the parks, and while Chip was happy to see it Dale was a bit indifferent. He kept grabbing it and squeezing it as if he was hurting Chip, which was cute. Many people are vocal about their dislike for Toy Story Land at both Paris and Hong Kong. While this is not one of the crowning jewels of Disney Imagineering, I appreciate it for what it is – a fun place for some mildly thrilling attractions that are a step up from what you’d find in Fantasyland. RC Racer is my favourite attraction in this area, it provides just enough thrill to get the blood going, but is not as intense as Space Mountain or Big Grizzly Mountain Runaway Mine Cars. The park only offers two FastPass attractions – Winnie the Pooh and Space Mountain. 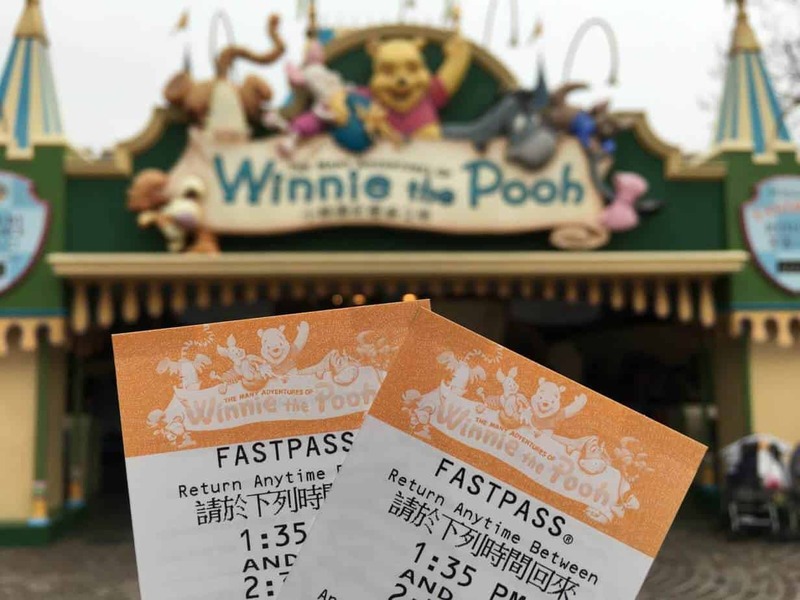 When we arrived in Fantasyland we saw the wait for Pooh was 30 minutes we decided to grab ourselves a FastPass, since this was the first and only time we felt the need to use it. The wait time at Space Mountain never went above 10 minutes the entire two days we visited – at least that we noticed anyway. Using our second last meal vouchers, we decided on Comet Cafe in Tomorrowland for lunch. 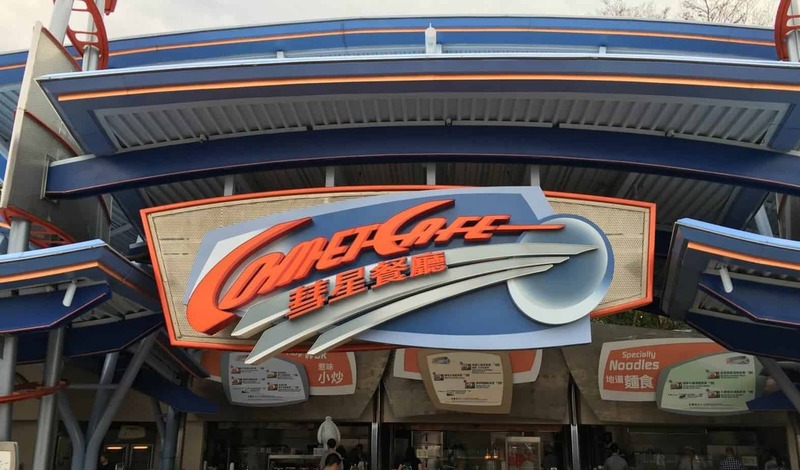 They offer a variety of Chinese dishes. We both opted for the Beef Brisket and Wonton Noodle Soup. Not only was it satisfying, it was delicious. 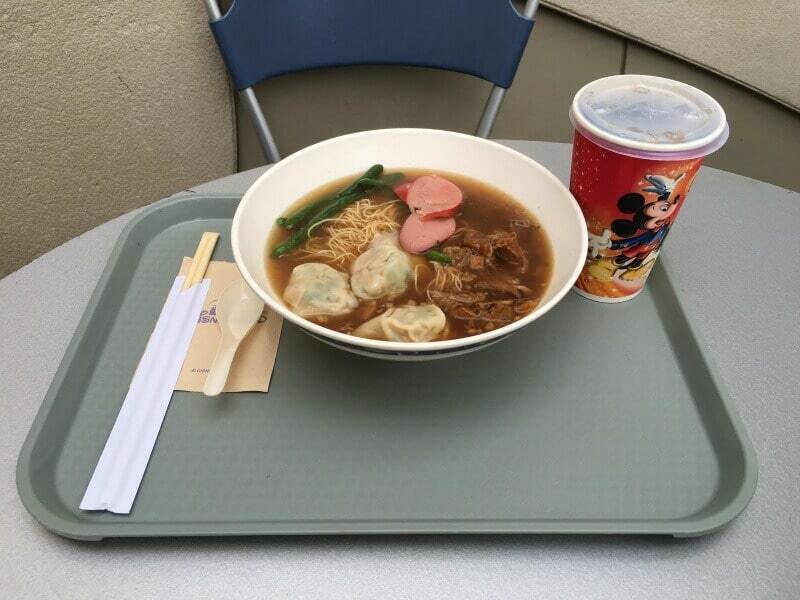 Unlike Tokyo Disney Resort, the portions here are closer to a western diet. With that said, I could barely finish it since I am not used to that size anymore. To top off our lunch, we had Coke slushes over by it’s a small world. However, we didn’t ride it again (John wasn’t going to win that battle twice)! While enjoying our slushes we noticed Merlin wandering through Fantasyland. As he was headed toward the backstage, a pair of Stormtroopers were headed the same direction. Once Merlin took notice of their presence he let out this loud scream and proceeded to run as fast as he could to the backstage. The Stormtroopers saw this and began chasing after him. I love it when worlds collide like that and the improv these characters do never fail to entertain. We enjoyed Flights of Fantasy again since we were in the area and easily got a spot. We then made our way to the Disneyland Hotel to check out everything there. 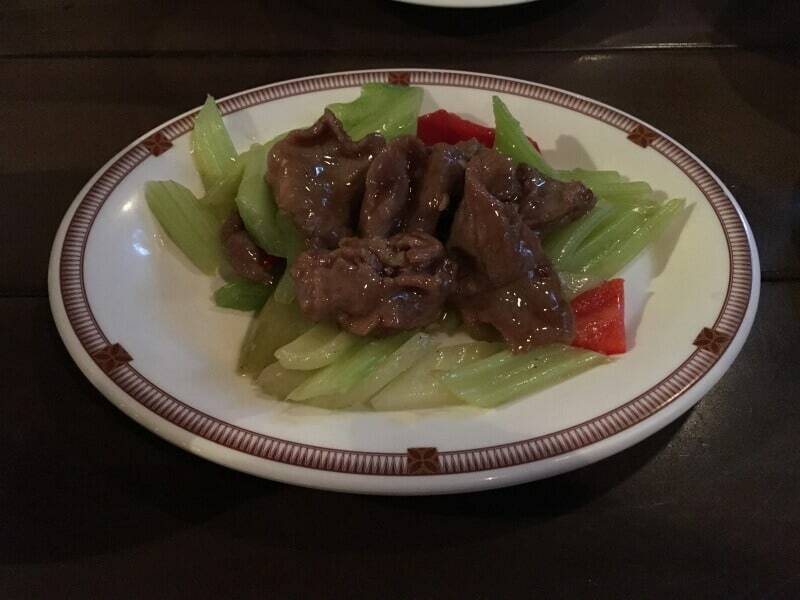 We made the mistake of not making our reservation for Dim Sum at the Crystal Lotus, so we were out of luck for lunch. But, we still toured around Disneyland Hotel. Hong Kong Disneyland Hotel is similar to the other namesake hotels in terms of theming, showcasing that lavish Victorian design. 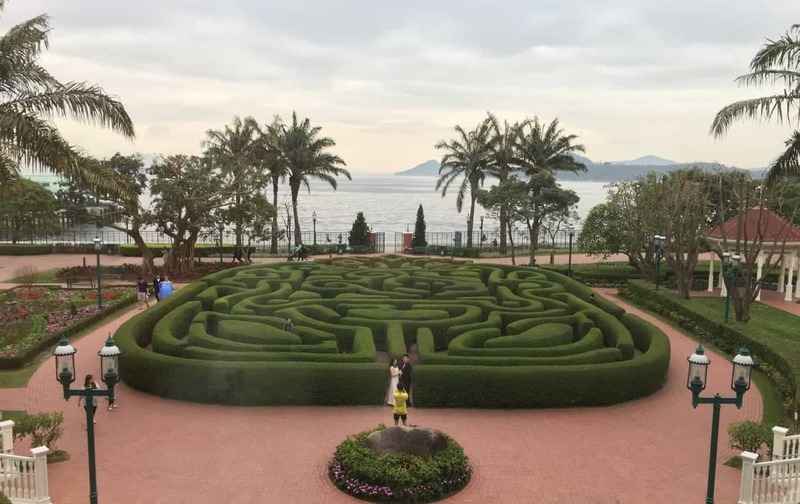 My favourite part was the hedge maze in the courtyard. Which I certainly had to try. Once I found my way out of the maze, we were starving. Our choice for dinner was the Riverview Cafe, to use our very last dining ticket. 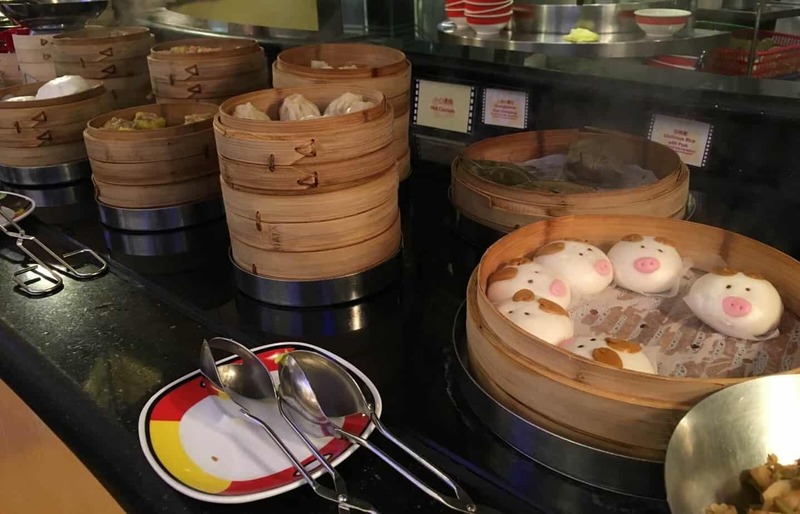 This restaurant serves Chinese cuisine family style, which means everything comes on plates to share with everyone at your table. 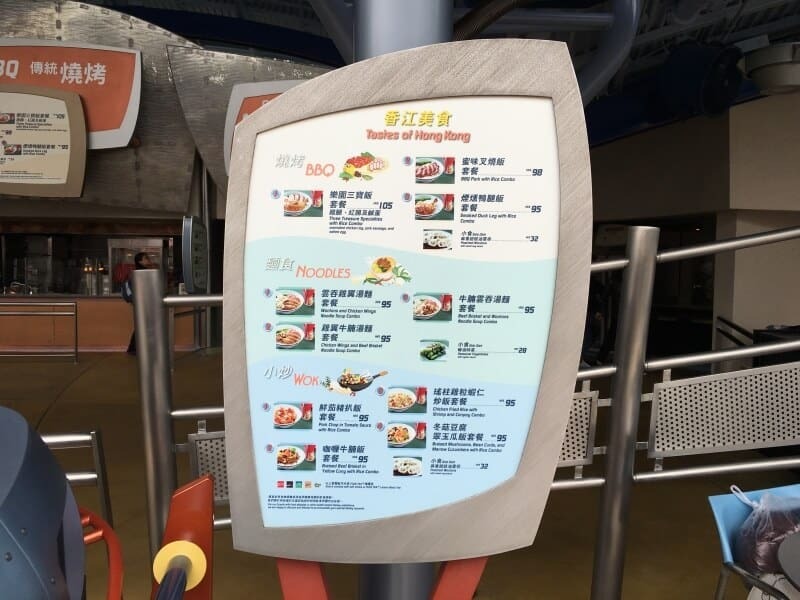 Since we were using our meal tickets, they give you a special menu to choose from. 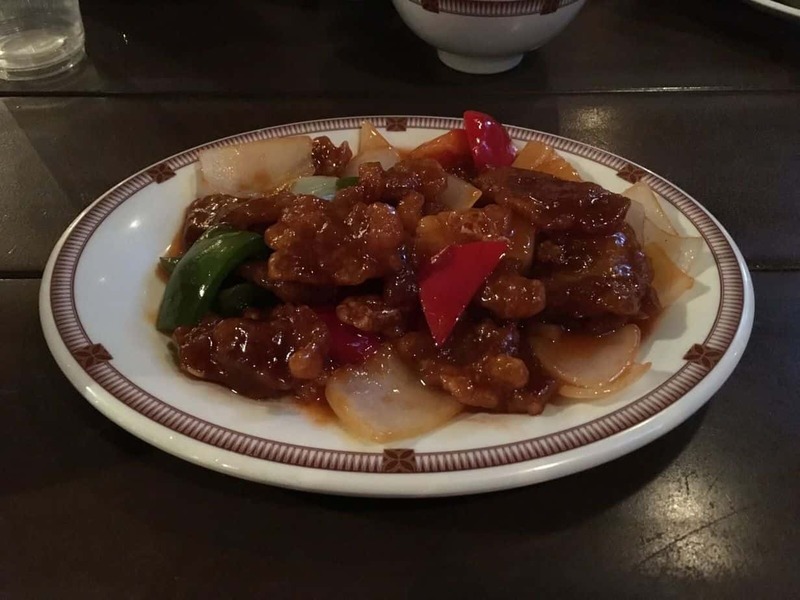 Overall the meal was excellent and I would recommend this as a great place to eat! We rode Mystic Manor, Grizzly, and RC Racer one last time before we secured our spot for the fireworks. Still cannot get over how much I loved Mystic Manor. I could easily ride that attraction 20 more times! We did not make the same mistake we did the day before with the fireworks. We got a spot 30 minutes before show time and we stood just beside the sitting area in front of the castle. The spot we chose worked out well for us, with no one standing in front of us unpleasantly holding their cameras above their heads. It made the experience pleasant. The fireworks themselves were excellent, better than Tokyo (but that is not hard to do). By the time the fireworks were over, the park was closed. We took, this time, to go through the shops to buy any last-minute souvenirs we needed. We spent a good 30 minutes in the stores and never once did we feel rushed. After that, it was the end of our trip to the last Disney Park for us to visit (until Shanghai of course). The next morning we ate breakfast at Chef Mickey’s and made our way to the airport. While Hong Kong Disneyland is not as “grand” or elaborate as the other Disney Parks, it has its own charm. It’s a charm that is only found at this park. What they lack in size is made up with a unique personality and offerings. 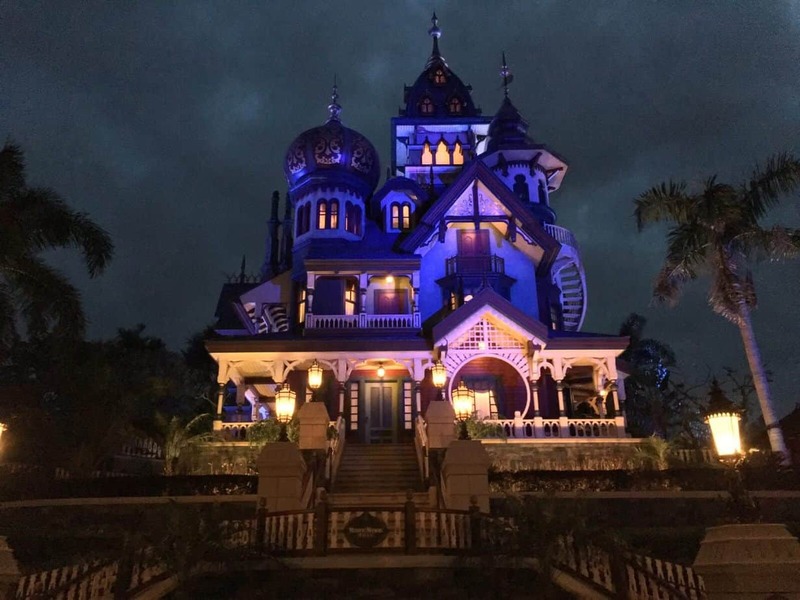 Mystic Manor steals the show with Grizzly being a close second, and those unique attractions alone are worth the price of admission. The food options are nowhere near as extensive as Tokyo (or even as cute), but the dining options offer a wide variety, including items which will satisfy western tastes. The 10th Anniversary greeting in front of the castle didn’t compare to the character-driven live entertainment at Tokyo Disney Resort, but the other parades and fireworks easily made up for that shortcoming. Seeing the original Paint the Night was great fun and hearing parts of the song sung in Cantonese is fun too. One of my favourite aspects with the park was collecting stickers from all the Cast Members. Since the stickers are Tsum Tsums then it is no surprise that collecting them becomes addictive. Just be careful, you end up with more stickers than you know what to do with! Overall, this park is certainly worth visiting. 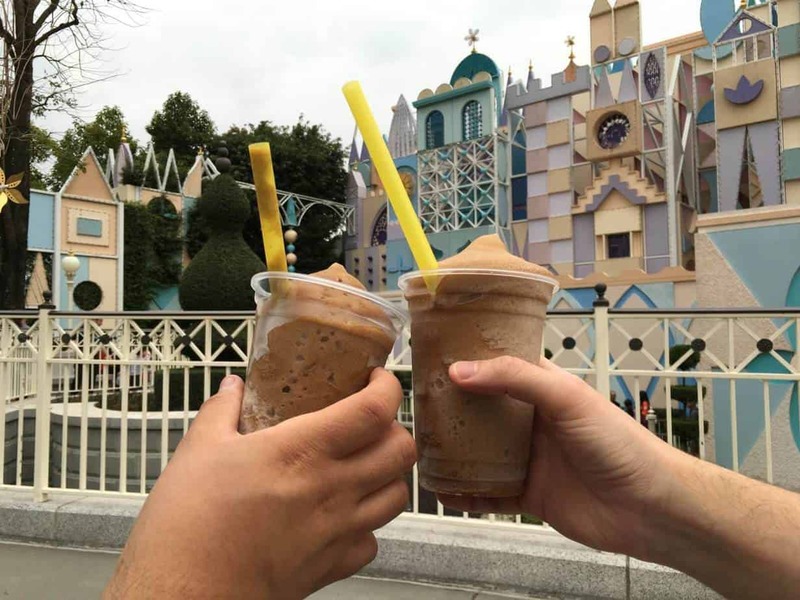 Should you make a trip just for Hong Kong Disneyland? I would say no, but if you are in this part of the world, then you would be crazy not to go. 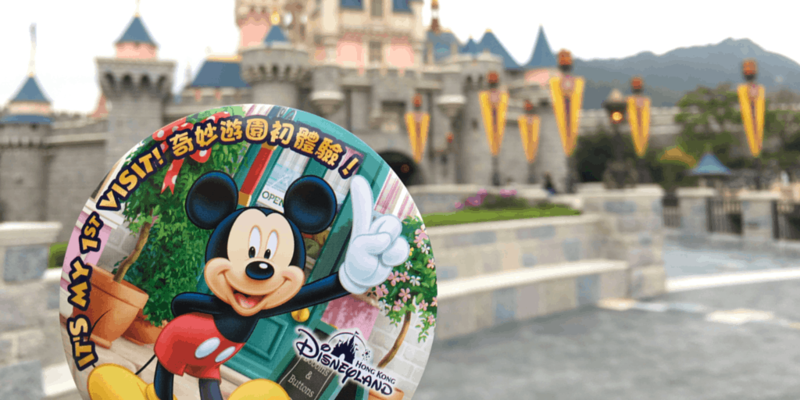 Make it part of a bigger trip, and soon you could visit three Disney Parks in Asia. Hong Kong itself is a fantastic city and is most certainly worth the visit. Until next time Hong Kong, until next time. Now I leave you with a video tour of Hong Kong Disneyland!